Flooring solutions for ships and Offshore plateforms. 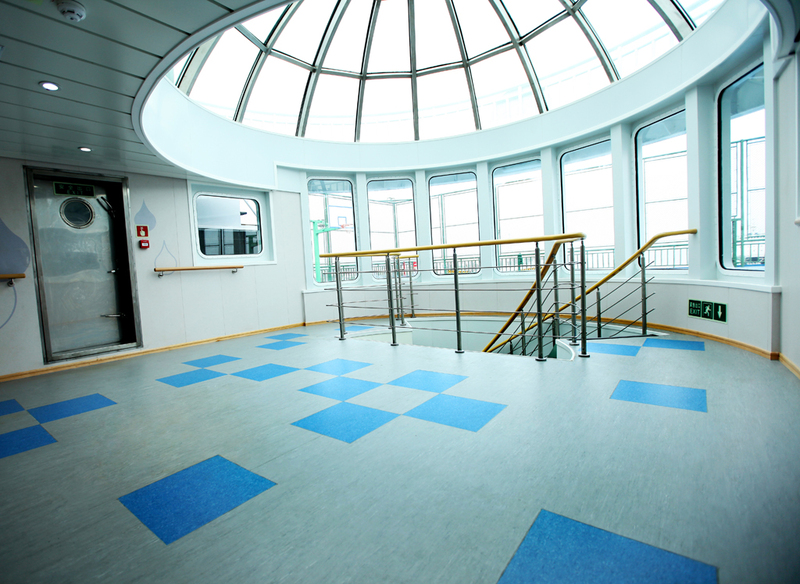 Streamo is Gerflor’s approved product range of vinyl floorings and finishes dedicated to the marine market, fulfilling the fundamental requirements of the International Maritime Organisation (IMO). Streamo solutions have been especially developed to enhance the ship interiors and the offshore living quarters. Streamo Karavel Luxury Vinyl Tiles, inspired by nature, combine wood and stone patterns. Its 4 trends offer comprehensive color choices which are intended to address customers' requests and needs. Streamo homogeneous floorings offer the widest color palette in the marine market with different grades and surface treatments to meet the most stringent maintenance requirements. Combined with the floorings, the interior finishes including handrails, wall protection, skirtings, stair nosings and tools provide a full solution for floors and walls. Mineral tiles influenced by Nature's origins. The range has been evolved to include 25 standard references, 4 different embosses and tiles dimensions. Besides its well-known reputation for high technical performances, in terms of traffic and slip resistance, ease of installation and maintenance, Streamo Karavel has strengthened its design-led collection image. Streamo Karavel stands out as the ideal solution for new builds as well as refurbishments. To be sure, you will find inspiration in this new collection. Streamo Homogenous floorings (Cruiser, Seacrosser, Mariner and Steamer) complement Streamo Karavel offer. The range, mainly used today in crew areas and living quarters, consists of more than 50 standard colours available in 4 different designs. Streamo Seacrosser and Cruiser benefit from the group patented Evercare™ surface treatment. This treatment provides unrivalled level of maintenance and better micro scratches resistance. Evercare™ replaces wax application throughout the lifetime of the product, with significant maintenance cost reduction. Streamo Mariner SD is the unique IMO rated vinyl flooring with dissipative properties to reduce the risk of electric static discharges (ESD flooring). And to make Gerflor a unique and valuable partner for all its customers, the group also proposes a comprehensive range of interior finishes including handrails, wall protection, skirtings, stair nosings and tools to be used with Streamo floorings. A fantastic opportunity for our customers in the marine market to have a combined and complete flooring solution from floor to wall.